Happy New Year to all our neighbors! Due to the holiday, our Monthly Meeting will be tomorrow, Wednesday, January 2nd at 6:30 pm at South Philadelphia Older Adult Center (SPOAC), 1430 E. Passyunk Ave. Hear updates on projects in the neighborhood and how to get involved with communications, beautification, clean streets, education, and other initiatives. 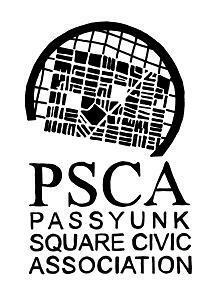 PSCA General Meetings are typically the First Tuesday of every month 6:30pm at South Philadelphia Older Adult Center and are preceded by the PSA-3 3rd District Police Meeting.